Deleting mail from the iPhone, iPad, and iPod touch is a little more cumbersome than it should be, but it doesn’t have to be that way. By making a quick settings change, we can turn the existing “Archive” function and swipe gesture into a “Delete” button and gesture instead. 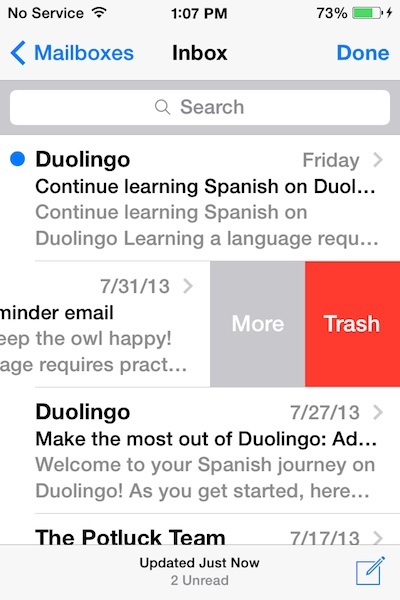 This also carries over to the “Edit” options to more easily bulk delete email messages from the iOS Mail app. Now to access the quick Delete button, you just need to swipe from right to left on any Mail message within mailbox, where the “Archive” option has become “Delete”. Additionally, you can bulk delete emails this way rather than using the move-to-trash trick for batch deleting, to do that you just need to tap “Edit” and select the group to trash. Choosing the “More” option continues to reveal “Archive” and other options, however. 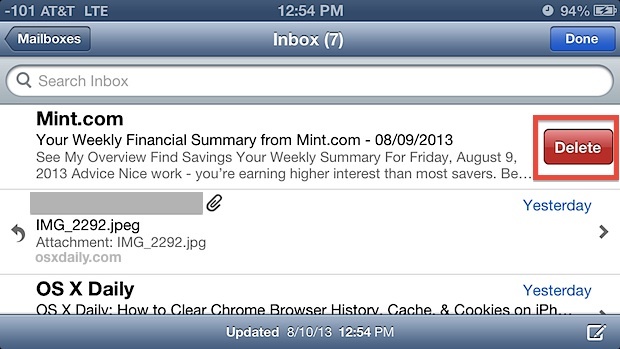 Check out some more great Mail app tips for iOS. THANK YOU THANK YOU THANK YOU!!! It’s been driving me nuts that somewhere between my phone upgrade and software updates I lost the ability to easily delete my gmail messages in the mail app. It turned into a 2-3 step process = DRAG. So thank you for this easy and quick article. I now have that fixed and can love my iPhone again!